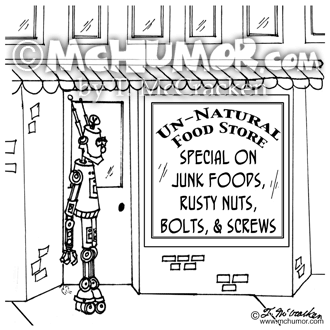 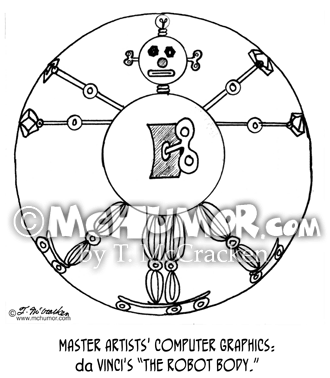 Health Food Cartoon 3619: Robot at Unnatural Food-nuts and bolts, sale on junk foods, rusty nuts, bolts, and screws. 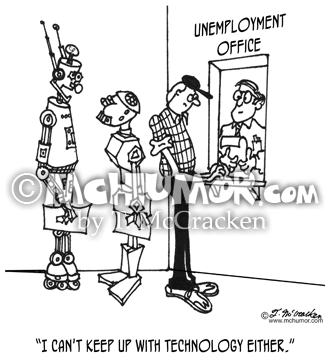 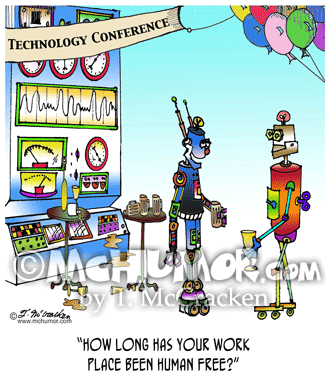 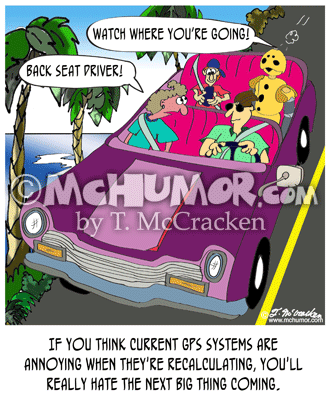 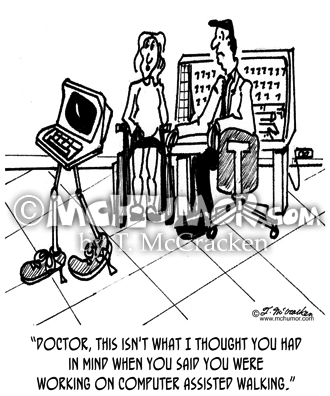 Robot Cartoon 7742: A robot at a "Technology Conference" asks another, "How long has your work place been human free?" 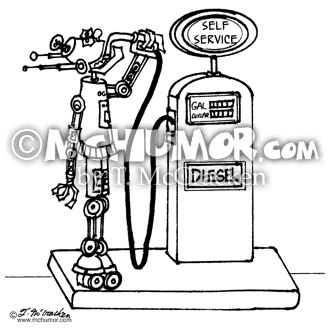 Robot Cartoon 3618: A robot putting gas straight into his head at a "Self Service" station. 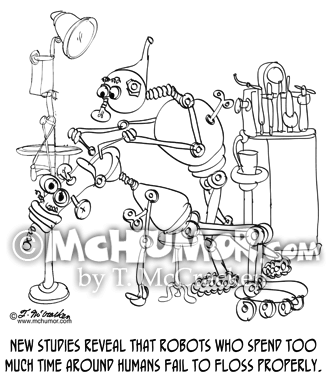 Robot Cartoon 8702: A robot dentist works on a robot patient. 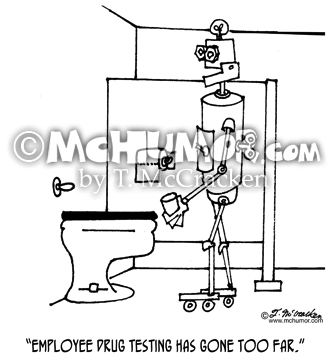 "New studies reveal that robots who spend too much time around humans fail to floss properly." 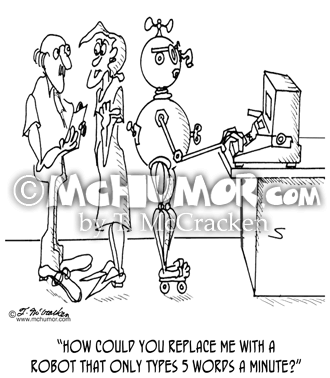 Robot Cartoon 1449: A secretary asks her boss, "How could you replace me with a robot that only types 5 words a minute?"